Microsoft stopped updating this a while ago, but people have asked: what original Xbox games can I play on my Xbox 360? At the end of 2007, Microsoft released their final software update adding backward compatibility for more games, and has stated that they wouldn’t make any further efforts to make more games backward compatible or fix any stuttering, texture, or slowness bugs in the games on the list. 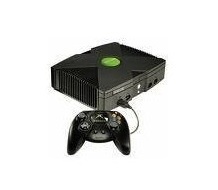 The software updates on the Xbox 360 beginning in 2008 have only contained Dashboard updates and fixes related to the Xbox 360 itself, not backwards compatibility with the original Xbox. Additionally, games that don’t appear on the list might work, but were not officially tested or specifically targeted for playability. Microsoft posted the finalized list on their support site, but we’ve copied it here so that it doesn’t disappear on you.